Ashley Lucas plays many roles. She is a playwright, actor, author and editor, as well as producing artistic director at the Teatro Latina/o Series and a member of the Dramatic Arts faculty at the University of North Carolina in Chapel Hill. 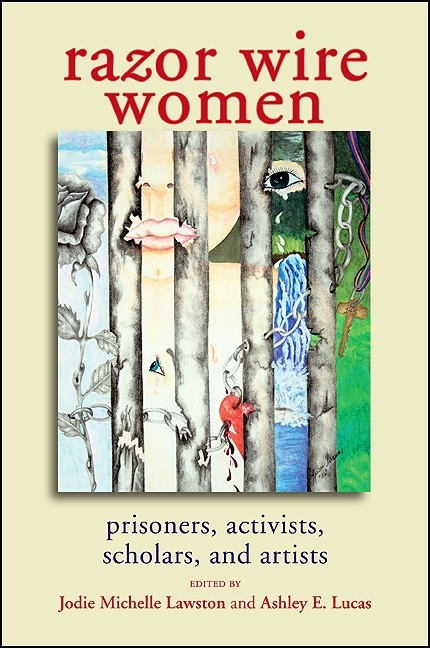 Lucas is especially interested in the issues surrounding women and criminal justice; her work in that area includes co-editing a book called "Razor Wire Women: Prisoners, Activists, Scholars, and Artists," with sociologist Jodie Lawston and a play, "Doin' Time," a one-woman piece based on interviews with over 400 prisoners across the United States. When Lucas arrives at Illinois State University next week for a special residency, she will perform "Doin' Time,"which "uses monologues, voiceovers and video to take the audience through a variety of perspectives on the families of the incarcerated," according to ISU's press release. Lucas is herself the child of an imprisoned father, and she wove together strands from her own experience with the interviews and letters she'd collected from prisoners, their family members, and prison workers to create "Doin' Time." Lucas will perform "Doin' Time" at ISU's Westhoff Theatre at 7:30 pm on Wednesday, September 19, and that performance will be followed by a panel discussion. Before that, she will offer a workshop for the English Department on "Writing Social Justice" at 10 am on Tuesday, September 18, and a discussion of MURAP, the program at the University of North Carolina that prepares and supports minority students interested in PhDs, with ISU's School of Theatre and Dance, at 5 pm on the 18th. Rooms have not yet been assigned to the latter two events, so stay tuned for more info before Tuesday. All three of Lucas's events are open to the public and completely free. Her residency is being sponsored by the Crossroads Project, a committee within the School of Theatre and Dance "dedicated to encouraging and exploring performances and symposia that address the issues and experiences of underrepresented ethnic peoples in the United States and the experiences of international cultures, including Asia, The Middle East, Africa, Latin American, and the Indigenous Peoples of the World." For more information, you can visit the Facebook page set up for these events.